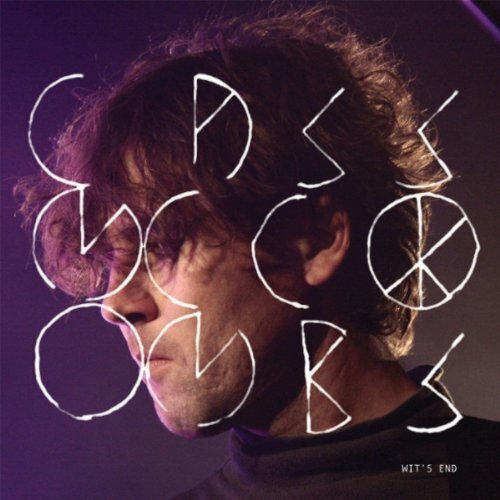 Cass McCombs’ fifth album, Wit’s End was released this past week, April 26, 2011. The California native who debuted his first EP down in San Francisco way back in 2002, Not the Way, has, well….certainly found his way. Wit’s End travels through the depths of unrequited love, a tragic sound that will evoke feelings of a desolate land, a table in the back of a bar, the pit of someone’s bedroom lit by the tragic spotlight of a desk lamp in the midnight hour. The album opens with “Country Line”, a song that sets up all of those emotions, the saddening desperation of retreating from something that failed. In “Lonely Doll”, the lyrics speak of a girl, childlike and porcelain, something sweet and innocent, repetitive in its verses. “A poetry painted from truth / but imagine the suit the lonely doll / For beauty eternally in youth / those pity compassion and roots / the lonely doll.” “Buried Alive” proves to be the darkest song on the album, a contemplation of life and death. Spin Magazine said of McCombs album: “He’s aiming for timeless.” Many will agree. The instrumentation on this album, such as that of the piano, mirrors a brooding starkness like that of Leonard Cohen. The minimalistic aesthetic of Cass McCombs is comparable to Tim Hardin or The Decemberists’ realm of wintery perspective. Pitchfork‘s review even went so far as to compare him to Elliott Smith or Nick Drake, which could seem like a stretch until you reach a point in the album, it’s final song: “A Knock Upon the Door.” HIs “Memory Stain” sounds like a bluesy folk song that could have been played at a coffee house in Greenwich Village in the ’60s. It is dainty and morbidly jolly with the aid of the clarinet. In “Hermits Cave”, McCombs cleverly sings: “In my twenty-seventh year / I set out to confront my fears / And found the role of a lifetime / You see, two plus seven is nine / And the ninth card in the Tarot / Is that Hermit I came to know.” There is a quality to his music that is stripped down, fragile in its delivery, and fit for a dimly lit cantina hidden under a cobblestone road in a foreign land. Cass McCombs has toured with artists like Andrew Bird, Blonde Redhead, Band of Horses, Arcade Fire, Cat Power, and Iron & Wine. To learn more about Cass McCombs or to download his album, Wit’s End: check out his Myspace page, or take a look at his website.